The Log People Ltd is a family-run firewood business producing logs directly from its Oswestry-based sawmill. We deliver ready to burn firewood logs to homes and businesses across Cheshire, Merseyside, North and Mid Wales and the West Midlands. Our sawmill produces boards for manufacturing wooden packaging goods, such as pallets and crates, using sustainably sourced timber from British FSC forestries. Our firewood logs are then processed using the first cut of the log (in the round). We produce our firewood logs by cutting and splitting the waste wood slabs and then store it until it’s fully seasoned and ready to burn. The firewood logs we produce come from the waste wood slabs produced from making new pallets and crates. 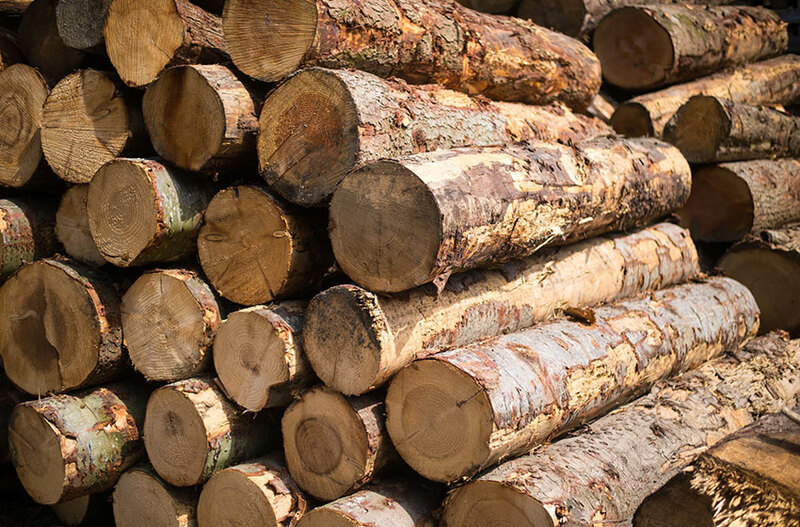 We recycle and repurpose 100% of our waste wood, so where the waste wood doesn’t become firewood, it gets chipped down for applications such as animal bedding and biomass. The Log People take orders and deliver logs to homes and businesses across Merseyside, Chester, North Wales and Shropshire. And because all supplies come straight from our sawmill you know there’s no one in the middle trying to make their cut. So when you buy from us you’re getting logs at the best possible value because you’re buying direct from the source.